Venture Capital is an investment in the form of financing in the form of capital participation into a private company as a business partner (investee company) for a certain period. In general, this investment is done in the form of capital surrender in cash in exchange for a number of shares in the company’s spouse. Venture capital investment usually has a high risk but gives a high yield.A venture capitalist (VC), is an investor who invests in a venture capital company. These venture funds manage investment funds from third parties (investors) whose primary purpose is to invest in a company with high risk so that it does not meet the requirements of the standards as an open company or to obtain loan capital from the banking. Venture capital investment can also include the provision of managerial assistance and technical. Most of these venture funds come from a group of well-established financial investors, investment banks, and other financial institutions that make fundraising or partnerships for the purpose of the investment. Capital investments made by venture capital are mostly done on newly established companies so that they do not have an operational history that can be a record in order to obtain a loan. As a form of entrepreneurship, venture capital owners usually have voting rights as a determinant of the direction of company policy in accordance with the number of shares owned. EQUI is a web-based application on the popular Ethereum blockchain. Projects are showcased on the platform and participants use EQUI tokens to acquire a stake in projects. 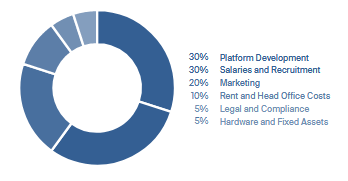 Upon completion of the project, returns are then distributed to the venture’s investors.Through a unique reward structure, each EQUItoken holder will benefit from the returns generated from the realized project, ensuring that all interests remain aligned throughout the life of the project. EQUI strives to reward participants who share our vision, offering an enhanced incentive structure for those who invest their EQUItokens in the underlying investment projects that are on display on the EQUI platform. Investors who have commitment to opportunities on the EQUI platform will receive 70% of the profit generated. There is no limit to the number of projects that have been selected to be invested. 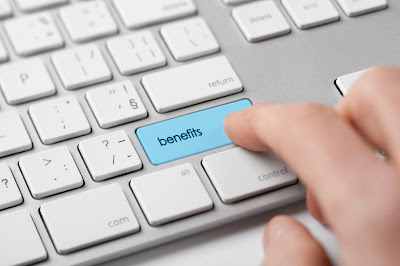 In return, Investors will receive further EQUItokens allocation through the EQUIcredits loyalty system, which is calculated at 5% of the EQUItokens investment amount. Holders who purchase EQUItokens and keep them on the EQUI platform without investment will receive a 5% profit generated from the realized investment portfolio. It provides tokens held for 3 months prior to distribution. The trader who buys EQUItokens and buys and sells them on third party exchanges receives improvements in the token price. 75% of all profits are returned to Investors and Holders. The remaining 25% goes to the EQUI Investment Team as a performance reward. This structure has been designed to ensure that the interests of all parties stay aligned over time so as to provide maximum value to all stakeholders. The EQUI platform utilizes the Ethereum blockchain to process and store credentials, information, and transactions, including the acquisition of project stakes, distribution of profits and investment returns, as well as investor rewards, its whitepaper said. PRESALE will run from March 1 to March 8. A minimum $100,000 investment is required to participate in that with a 25 percent bonus incentive. The public ICO will run from March 8 to the end of the month. The project will have 250 million tokens in supply, of which 65 percent will be released for sale to investors, with each token priced at 50 U.S. cents. Barrowman and Mone (founder & co-founder) have collaborated before. They launched a residential and commercial property development in Dubai last year valued at 250 million pounds ($350 million), with residences that can be purchased in bitcoin. EQUI’s vision is to bring venture capital into the modern technological era. It will allow individuals to combine forces and participate in an investment sector that has been traditionally reserved for institutions and ultra high net worth individuals. 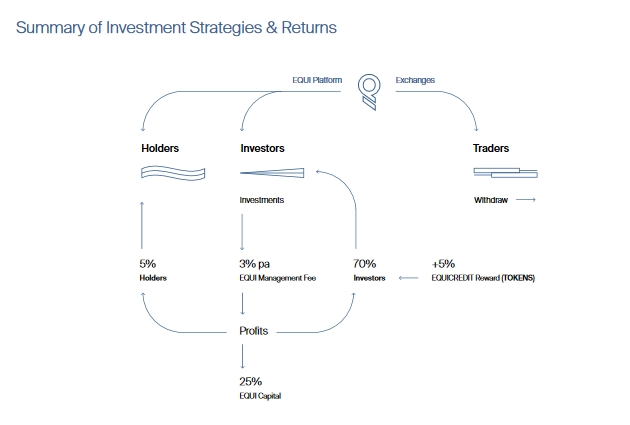 Investment Strategies and Returns Through a unique reward structure every EQUItoken holder will benefit from the returns generated from realised projects, ensuring all interests remain aligned throughout the project lifespans. EQUI seeks to reward participants who share our vision, offering an enhanced incentive structure for those who invest their EQUItokens in underlying investment projects showcased on the EQUI platform. EQUI aims to promote and represent diverse entrepreneurs and investments from across the world who need a gateway to funding and exposure. Our platform will promote a mixture of business sectors with a leaning towards technology, whether that be e-commerce, fintech, data, SaaS or biotechnology. As a blockchain based platform we are particularly interested in helping blockchain grow through support of burgeoning new applications. EQUI will work with businesses of all sizes with differing aims and objectives. Providing a combination of traditional and alternative equity investment will enable our EQUI token community to diversify their portfolios with a blend of projects. Every opportunity is evaluated on its individual merits and those showcased will encompass specific attributes. The focus will be on early stage ventures, where the business offers a significant market opportunity, with the potential to revolutionise the relevant sector or services in which it competes. A strong and driven management team is fundamental in achieving success with any viable product or service. A scalable and sustainable business model with global potential will provide the scope for growth and returns. Updates and relevant news will be regularly posted to the EQUI social media channels. Personal communications regarding your holdings will be sent securely to your nominated email address. General news bulletins will be posted to the website www.equi.capital and social media channels. Personal communications specific to your investment profile will be sent to your nominated email address. Investors – who commit EQUItokens to opportunities on the EQUI platform will receive 70% of the profits generated. There is no limit to the number of projects that been chosen to invest in. 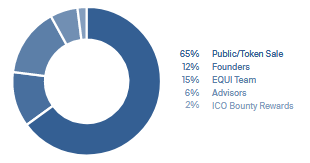 As an added reward, Investors will receive a further allocation of EQUItokens via the EQUIcredits loyalty system, which is calculated as 5% of the number of EQUItokens invested.Holders – who purchase EQUItokens and keep them on the EQUI platform uninvested will receive 5% of profits generated from the portfolio of realised investments. This is providing tokens are held for 3 months prior to distribution. Traders – who purchase EQUItokens and buy and sell them on third party exchanges receive. 75% of all profits are returned to Investors and Holders. The remaining 25% goes to the EQUI Investment Team as a performance reward. This structure has been designed to ensure that the interests of all parties remain aligned at all times deriving maximum value for all stakeholders. 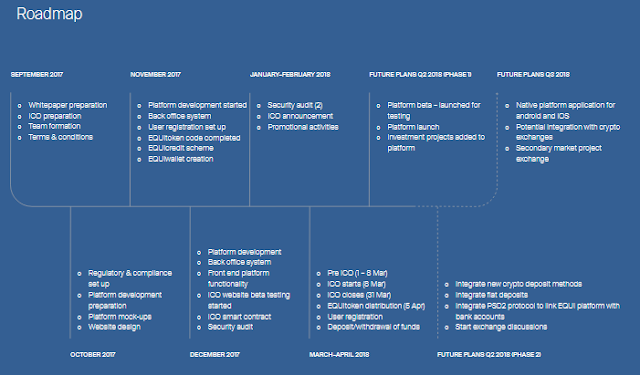 Use of ProceedsThe funds raised from the ICO will enable the completion of the EQUI decentralised investment platform as outlined in our Roadmap on page 32. A minimum investment level of $100,000 is required to participate in the pre-sale. The public ICO will run from 8 March to 31 March 2018. A minimum investment level of $100 will apply to the public ICO, subject to participants complying with regulatory guidelines.